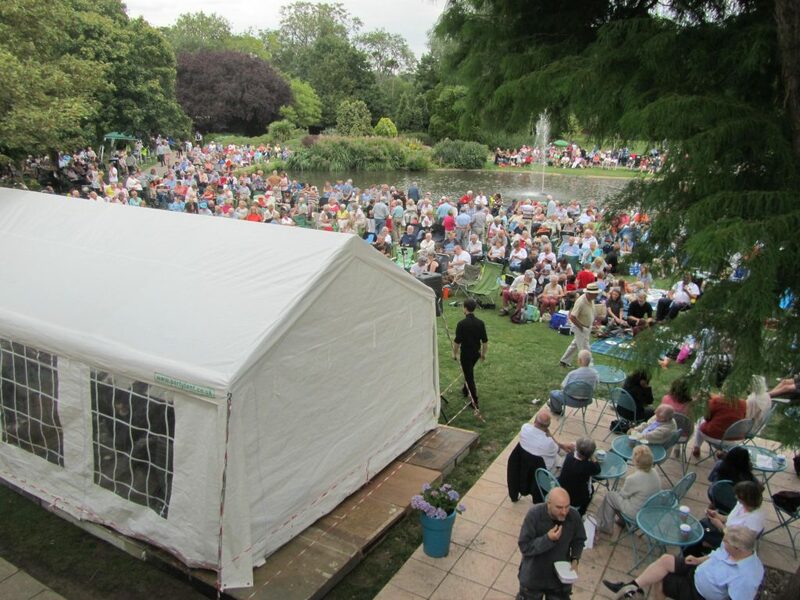 Despite appalling weather the first of the ‘Summer’ Band Concerts went ahead in front of West House on 26 July thanks to the dedicated band of Association stalwarts . 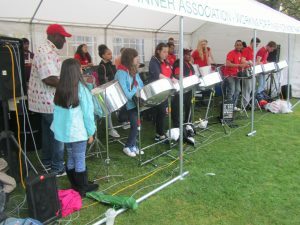 The Harrow Steel Band played most enthusiastically throughout the afternoon and the rather small crowd greatly enjoyed the performance. 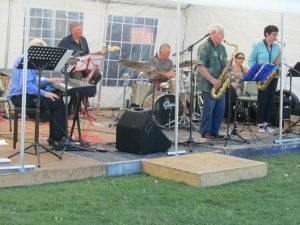 In contrast with the previous week, on 2 August we were blessed with perfect weather when we were entertained by the Fats Rollini Jazz & Blues Band. A ‘swarm’ of loyal supporters descended on the Memorial Park and had a thoroughly enjoyable experience. 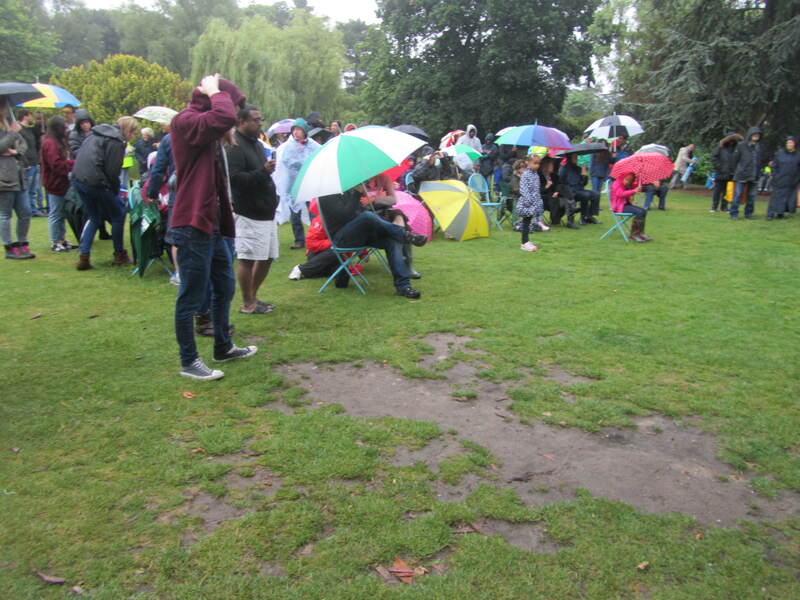 Any umbrellas to be seen were to fend off the sun’s rays rather than the rain showers. 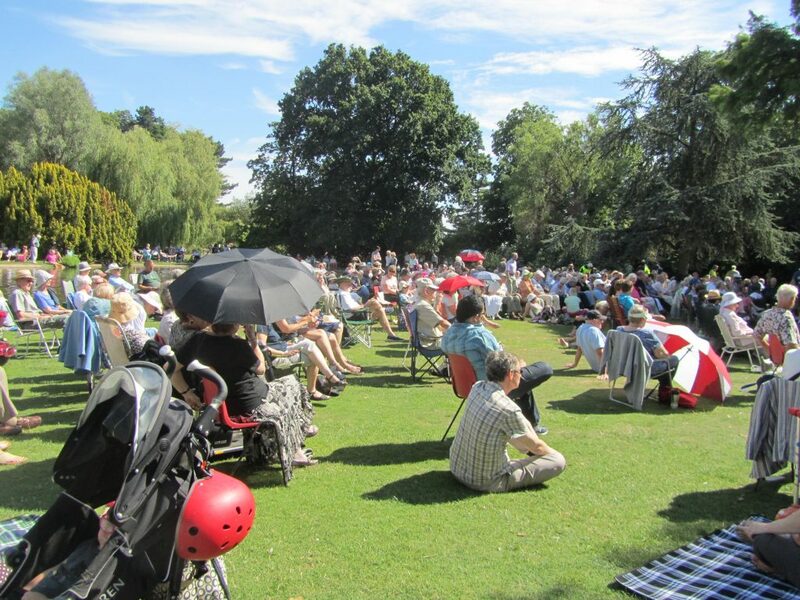 The spell of fine weather continued into the third week when Grimsdyke Brass entertained the capacity crowd – we ran out of seats to hire. 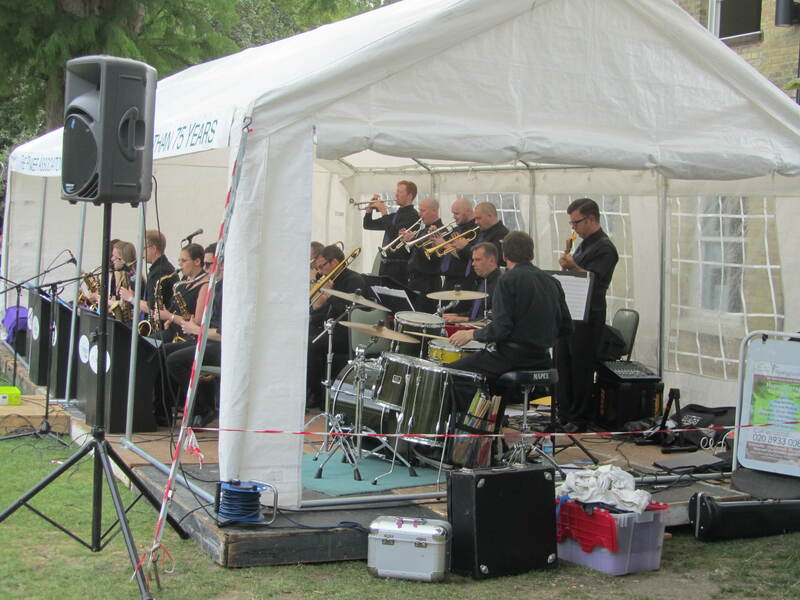 The Season concluded with a scintillating performance by the Stardust Big Band which entertained the large crowd to a wide range of swing music. 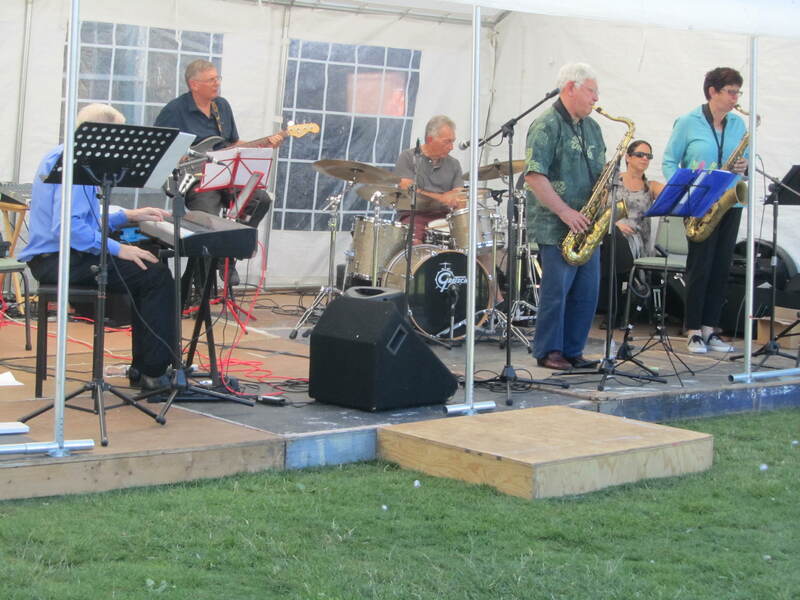 The crowd demanded a return in 2016. 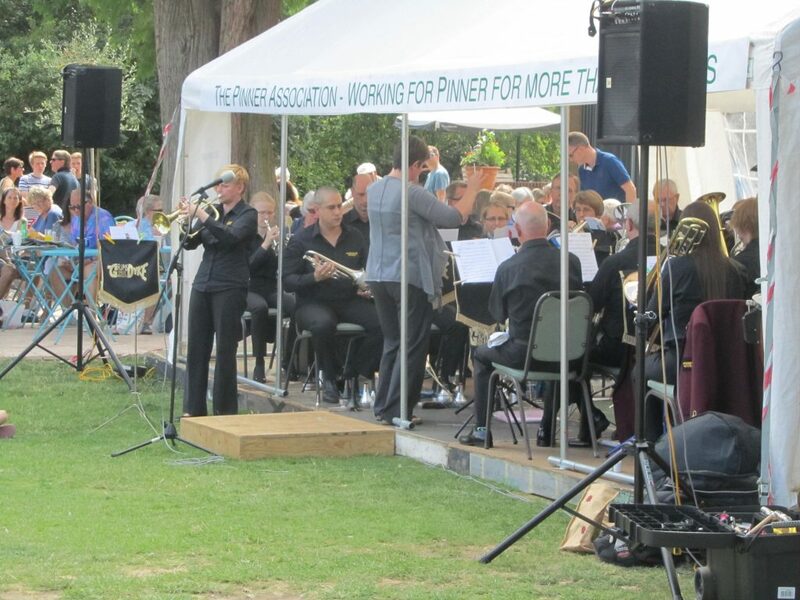 For the record the Pinner Association arranges all the Band Concerts and pays for the Bands, while the proceeds from bucket collections in the interval go to West House. 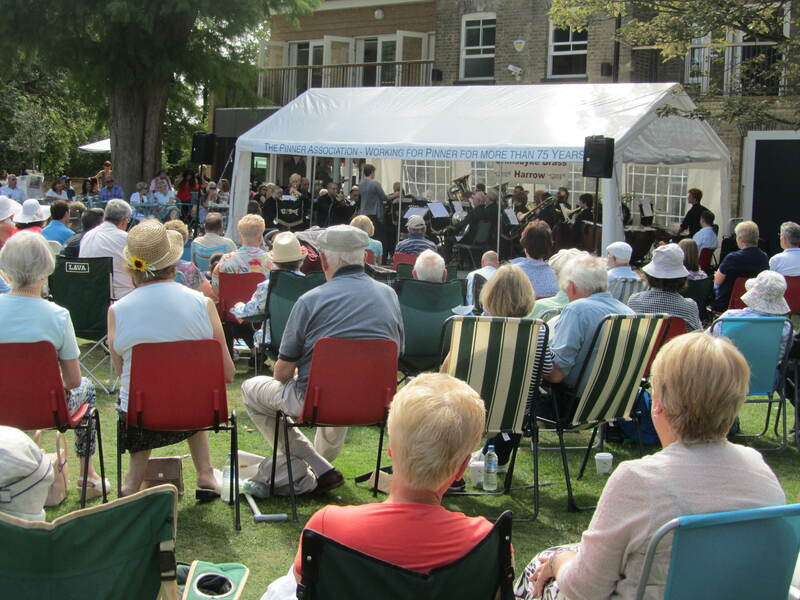 A total of nearly £2,000 was raised in aid of West House over the three recent week ends.